A central problem in the assessment of the environmental impact of metals in metal- contaminated anoxic sediments is to estimate to what extent such sediments with high contents of organic matter will release metals once they become oxidised as a result of pollution control and/or supply of oxygen-rich bottom water. Will divalent cationic metals that were firmly bound as sulphides in the anoxic sediment be mobilised soon after oxidation of the sulphides and become bioavailable and perhaps toxic to the macrobenthic organisms that will be able to colonise the now aerobic sediment surface? Very few such experiments have been conducted, where authentic, metal-polluted sediments from lakes or estuaries, have been collected, oxygenated and then used for long-term exposure of test organisms in the laboratory, in order to distinguish toxic effects caused mainly by sulphides in the sediment from effects caused by metals (and perhaps organic toxic compounds). In order to examine this and some associated questions pertinent to the situation in the inner water-ways around the city of Stockholm, two researchers from Stockholm University (B. Sundelin and A.-K. Eriksson Wiklund) carried out two major series of experiments. In the first series, they collected undisturbed, contaminated sediment cores from two sites located in the heavily polluted, estuarine inner part of the Stockholm archipelago, one east of Slussen at 38 m depth (stn. 1) and the second one at Svindersviken at 6 m depth (stn. 3). Sediment cores were also collected from an uncontaminated reference site, near Asko, south of Stockholm, at 37 m depth (stn. 2). Most of the undisturbed sediment cores were incubated in the laboratory for several months with a continuous flow of well oxygenated brackish water passing over the sediment surface, while some of the cores were used for metal analysis after having sliced the core in 0.5 cm thick layers. In the upper four slices, As, Cd, Cu, Ni, Pb and Zn were determined as total, dry matter-normalised metals after digestion in nitric acid according to Swedish Standard. This first round of experiments was published in 2001 (Sundelin and Eriksson, 2001). In addition to metal analyses, determination of dry matter and organic matter (as loss on ignition, LOI) was carried out, and in each of the 0.5 cm slices down to about 10 cm sediment depth, redox potential, dissolved sulphides and AVS were analysed immediately after collection of the sediment cores and then after 3 or 7 months incubation in the laboratory with or without bio-turbation caused by addition of a number of amphipods (Monoporeia affinis). Thus, it should be noted that although the authors determined the acid-volatile sulphides (AVS) at many levels in the sediment cores, they did not determine the SEM, but chose to make analyses of total concentrations of metals instead, see Table 7.7. Table 7.7. Total, dry weight-normalised concentrations (mg/kg dry matter) of some trace metals in the sediment surface (0-0.5 cm) at the three sites, investigated by Sundelin and Eriksson (2001) (mean value of three replicates). LOI in the surface sediment at stn.1 and 3 was 27.6% and 19.8%, respectively, while it was about 14% in the reference sediment from Asko. The laboratory incubations were made in two separate experiments, in two consecutive years. The first experiment included sediments from stn.1 and 2 and lasted for 7 months, at the end of which the amount of trace metals removed from the sediment surface as a result of oxygenation by the flow-through brackish water was determined. Moreover, the accumulation of metals in the introduced amphipods over a period of 4 months was measured. Experiment 2 included sediment cores from stations 1, 2 and 3, and in addition to the metal analyses of sediment and amphipod tissue, the changes in levels of total sulphur (including AVS and dissolved sulphides) were followed, as were the toxic effects on the amphipods by observations of the frequencies of dead eggs and embryo malformations (Sundelin and Eriksson, 2001). A second round of experiments was made at a later stage, where sediment cores from the three above mentioned sites were used in new laboratory incubations for 40 days under oxic conditions in the presence of amphipods providing bioturbation. This time, however, the experiment included also sediment cores from three sites in the freshwater Lake Malaren, west of Stockholm, one reference site and two sites with metal-polluted sediments. Again, the main objectives were to assess the degree to which sediment-bound trace metals would be released during bioturbation and oxygenation, as well as the significance of different factors determining the bioavailability of metals to benthic fauna. The authors also wanted to examine the relative importance of porewater metals versus sediment-bound metals for explaining the metal body burden in the ampnipods (Eriksson Wiklund and Sundelin, 2002). In this second round, not only AVS determinations (in 0.5 cm slices down to a sediment depth of 2.0 cm), and total metal analyses in porewater and bulk sediment (down to 1.0 cm depth) were made, but also SEM analyses in the top 0.5 cm layer of the sediment cores. Moreover, specimens of M. affinis were sampled after oxic incubation in the sediment cores and were allowed to empty their guts before chemical analysis of their body burden of trace metals. The temperatures corresponded to the in situ conditions during the experiments, and the bottom water just above the sediment surface in the flow-through units was saturated with oxygen. In both rounds of experiments and in both the freshwater and brackish-water environments, oxygenation in combination with bioturbation substantially decreased the concentrations of sulphur and AVS in the reduced sediments, obviously a result of oxidation of sulphides. It should, however, be noted that AVS only declined in the surface 0-1.0 cm sediment layer. Below this level, both dissolved sulphides and AVS remained in high concentrations. Only in the freshwater reference sediments (with low content of organic matter and sulphur), having an originally low content of AVS, there was no decline of AVS noted in the top layer during oxygenation (Eriksson Wiklund and Sundelin, 2002). The trace metal concentrations in the bulk sediment were only slightly changed during the oxic incubation with bioturbating amphipods. Only zinc, forming one of the most soluble metal sulphides, decreased in concentration, especially in the brackish-water sediments. Metals forming sulphides with lower solubility, such as copper, mercury and lead, did not show any change of concentration in the sediments, even in cores with high degree of bioturbation. In other studies it has been found that during oxygenation of anoxic sediments, the more soluble sulphides FeS and MnS are released first, while trace metal sulphides remain unoxidized. Possibly, FeS and MnS, which occur in excess compared to trace metal sulphides, might buffer the effects of bioturbation, leaving the trace metal sulphides unoxidized for some time (Eriksson Wiklund and Sundelin, 2002). In fact, Simpson et al. (2000) observed that PbS and CdS and even ZnS were resistant to oxidation, while AVS was rapidly oxidized. When concentrations of trace metals in the porewater were followed, it turned out that, before incubation, higher concentrations of trace metals were recorded at 0-0.5 cm depth than at 0.5-1.0 cm sediment depth. After oxic incubation, however, the opposite pattern appeared: there was an increasing trend at 0.5-1.0 cm for cadmium, iron and zinc, metals forming the least water-insoluble sulphides among those examined. When looking at the metal flux during oxic incubation from the sediments to the amphipods, it was observed that the bioaccumulation of copper and zinc was low, possibly due to internal amphipod regulation of these essential trace metals. The small variation in body burdens of these metals showed no correlation with metal concentration in bulk sediment or in the porewater. The body burdens of some other trace metals, such as cadmium and lead, were elevated in the amphipods. An important observation was that the concentration of these metals in the top sediment layer (0-0.5 cm), but not the concentration in the porewater, seemed to govern their concentration in the amphipods. This led the authors to conclude that food rather than the porewater would be the main source of the trace metals recorded in the M. affinis (Eriksson Wiklund and Sundelin, 2002). A slight toxic effect was observed on reproduction of amphipods exposed to the oxygenated, contaminated sediments from the brackish-water area, as shown by a slight increase in frequency of undifferentiated eggs, dead eggs and general mortality, compared to the results from the control sediments. The frequency of malformed embryos did not differ between the two contaminated sediments, but was slightly increased as compared to the controls (p<0.05). The authors concluded that the experimental results obtained with the sediments from the two sites in the inner Stockholm archipelago indicated a "low toxicity of the sediments". Moreover, they concluded that "the higher frequencies of dead eggs observed in station 1 sediment as compared to station 3 sediment could be due to dissolved sulfides, which have been correlated with increased levels of dead eggs and broods." (Sundelin and Eriksson, 2001). The experiments combined four approaches to the assessment of the transformability of sulphide-bound trace metals into mobile and bio-available species, in situations where sulphides are oxidized: (i) determining the decline in concentration of "total" trace metals and changes in SEM in the top layer of the sediment; (ii) measuring changes in concentrations of porewater metals at two different sediment depths; (iii) measuring bioaccumulation of trace metals in benthic, deposit-feeding fauna; and (iv) observing lethal and non-lethal toxic effects on the benthic organisms. As confirmatory evidence, the disappearance of AVS and dissolved sulphides in different sediment layers, as a response to the long-term oxygenation, was followed. In the sulphide-rich sediments with very low redox potential, the divalent, cationic trace metals were originally immobilised as non-bioavailable metal sulphides. The results reported by Sundelin and Eriksson (2001) showed that oxygenation, separately or in combination with bioturbation, conducted during periods of three or seven months, was not sufficient to release some of the trace metals (those forming sulphides with particularly low solubility, such as Pb, Hg and Cu). However, Cd and Zn concentrations declined upon oxygenation in the contaminated sediments. Based on the low AVS levels in the top layer of the sediments after oxygenation, it is difficult to explain the low level of toxicity only on the basis of AVS normalisation. According to the authors, the low bioavailability of Cd, Cu and Zn could also be explained by association with total organic carbon or re-precipitation into iron hydroxide formed as a fluffy precipitate on the sediment surface after the extended oxidation of FeS in the sediment. Since both Cu and Zn are essential trace metals, and amphipods are known to be able to regulate these metals (Borgman and Norwood, 1995), the lack of bioaccumulation could furthermore be due to the internal regulation process of the organisms (Sundelin and Eriksson, 2001). One of the major conclusions drawn from the present experiment was that in spite of several months of oxygenation of originally anaerobic sediments, which was supposed to oxidize sulphides and mobilise toxic trace metals, the aerobic sediments showed a low toxicity in terms of mortality and embryonic malformations, to the introduced amphipods, Monoporeia affinis (Sundelin and Eriksson, 2001). With regard to the relevance of the SEM/AVS model for predicting trace metal bioavailability and toxicity to amphipods, the authors found that the SEM/AVS concept may be useful only for Cd, Pb and Zn, while the bioavailability of Ni, Cu and Hg could not be accurately predicted by this ratio since the ability of HCl to extract these metal sulphides is limited (cf. section 5.4.3.3 and Cooper and Morse, 1998). Since AVS in the top sediment layer was rapidly oxidized during oxic incubation, while metal sulphides stayed stable to oxidation, the authors refer to Simpson et al. (2000), who suggested that reactive sulphides play a limited role in controlling the speciation of many trace metals entering sulphide-rich sedimentary environments. Moreover, as was also pointed out by Chapman and Wang (2001), bioavailability of sediment-bound trace metals is more closely related to the digestive systems of benthic animals. This to some extent seems to contradict the hypothesis that metal bioavailability is mainly controlled by the geochemical equilibration of metals between pore-water and reactive sulphides (Eriksson Wiklund and Sundelin, 2002). Incidentally, a growing number of reports do emphasize the role of the food route for uptake of trace metals in benthic fauna. Chen and Mayer (1998) demonstrated that considerable fractions (10-30%) of sedimentary Cu can be solubilized by gut fluids, resulting in elevated Cu concentrations of 55 to 4,400 ^M in the gut fluid of the deposit-feeding lugworm Arenicola marina. These results suggest that guts of deposit-feeders could be exposed to high concentrations of dissolved Cu (and other trace metals) during in vivo digestive processes. Copper can interfere with enzyme function, and the gut is a site of intensive enzyme activity. It was recently demonstrated that there is a widely differential susceptibility among benthic species to gut enzyme inhibition by Cu (Chen et al., 2002). Inhibition of digestive protease activities was found to occur at threshold values for Cu varying from 8 ^M to 0.4 M among the 34 deposit or suspension feeders tested. Based on the 10th to 50th percentiles of the threshold values, and assuming that about 20% of the sediment-bound Cu is bioavailable to gut fluid solubilization, it was demonstrated that sensitivities of different benthic organisms to total Cu levels in sediments would range from 50 to 435 mg Cu/kg DM. 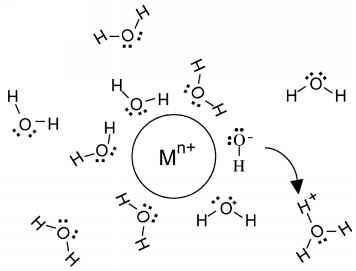 This is a less noticed mechanism of trace metal toxicity, in addition to the previously discussed respiratory membrane-toxicity, an aspect that should be considered when assessing environmental risk of trace metals in sediment and soil habitats under oxic conditions. Another major conclusion made by Eriksson Wiklund and Sundelin (2002) was that the observed low release of trace metals from sediments and the low impact of porewater metal concentrations for the metal body burden in exposed amphipods altogether indicated that ameliorated oxygen conditions in metal-polluted sediments may be regarded as a minor environmental threat for the important benthic organism Monoporeia affinis. Thus, the risk that reversal of eutrophication in the inner Stockholm archipelago would bring about another environmental risk, i.e. mobilization of sediment-bound toxic metals and transfer of metals to higher levels in the food chain, does not appear to be imminent. This conclusion is furthermore supported by the previously cited work by Ciutat and Boudou (2003), where it was demonstrated that bioturbation of natural, Cd- and Zn-contaminated sediment, caused by nymphs of the mayfly species Hexagenia rigida, resulted in a significant metal release into the water column via the resuspended sediment particles. However, the use of the bivalve Corbicula fluminea as an indicator of uptake of metals from the water column showed that the metal bioavailability was very limited; levels of Cd and Zn bioaccumulated in the soft tissues of the bivalves being less than those measured in the unbioturbated systems. An additional indication of the existence of a different route of entry to benthic animals of sediment-bound metals, as opposed to the « gill route » was given through the work by Milani et al. (2003), who compared the relative sensitivity of four different benthic invertebrates to metals in spiked-sediment exposures and made the same comparison with water-only exposure to the same metals. In the water-only exposure, the animal being most sensitive to Cu exposure (measured as survival and growth/reproduction) turned out to be Chironomus riparius, while in the spiked-sediment Cu exposure, the two most sensitive animals were Hyalella azteca and Hexagenia spp. The different order of sensitivity among invertebrates to water-borne Cu and sediment-associated Cu indicates that the spiked sediment cannot simply be regarded as a source for release of Cu to the dissolved phase. One of the greatest difficulties in understanding the processes occurring in aquatic sediments is the problem of obtaining information from the system without disturbing it. The studies conducted by Sundelin and Eriksson (2001) and Wiklund Eriksson and Sundelin (2002) were performed with a low degree of disruption of the original sediment structure. Therefore, the presented results are supposed to be valid for in situ conditions in situations where originally anaerobic and metal-contaminated sediments are oxygenated and transformed into sediments having an aerobic surface layer with reasonable conditions for survival of a benthic faunal community. It should, however, be noted that the amphipods, used in the experiments to follow biotic uptake and toxicity, were artificially introduced to the sediments and, thus, were not pre-exposed to the actual metal concentrations. Nonetheless, the use of field-collected, undisturbed sediment cores, which are brought to the laboratory for carefully controlled, long-term experiments, does contribute to a realistic set-up that provides a good basis for correct interpretations. For example, the ageing of natural sediments often results in much slower contaminant desorption rates than is experienced from unaged laboratory-spiked samples (Adams et al., 1992 and section 5.5.6). Moreover, laboratory tests with spiked sediments generally result in higher toxicity levels as compared to toxicity tests with contaminated sediments brought from the field (see e.g., Sasson-Brickson and Burton, 1991). It is interesting to notice that even after up to seven months of oxygenation of the sediment surface, it was only in the upper 1 cm of the sediment cores where the redox potential increased radically and the dissolved sulphides disappeared, while the AVS declined, but never reached very low levels. From a sediment depth of about 2 cm and below, the redox potential remained low, and the dissolved sulphides and AVS level varied around a relatively high mean value. Thus, from this dynamics it can be inferred that the relatively low rate of metal release during the oxygenation experiments took place only from the upper 1 - 1.5 cm of the sediment cores. This was also confirmed for the metals Cd and Zn. Metals in deeper sediment layers can be assumed to stay relatively immobile for long periods of time, and in that position they may not show any bioavailability or toxicity, except - of course - if resuspension or other mechanical disturbance of the sediment takes place.